Get out of town with these interesting Halong Bay side-trips: Cat Ba (Stand-Up Paddleboarding & Cat Ba Island). There's lots more to do: contemplate the waterfront views at Halong Bay, Head underground at Sung Sot Cave, and head off the coast to Ti Top Island. 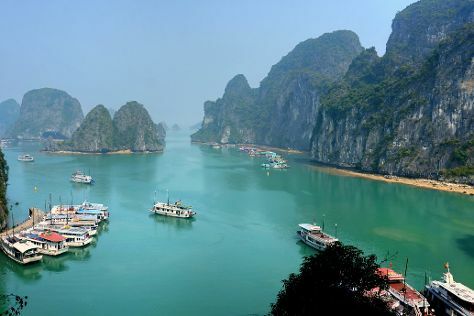 To find where to stay, traveler tips, and tourist information, read our Halong Bay journey maker site . If you are flying in from Portugal, the closest major airport is Noi Bai International Airport. Wrap up your sightseeing on the 19th (Thu) to allow time to travel back home.